Come see our 6 showrooms in: Novi, Shelby Twp, Troy, Grand Rapids, Farmington Hills (Clearance Center), and Southfield (Contemporary). With a commitment to being a style leader, Gorman’s focuses on delivering the best quality and style leading home furnishings products at every price point. So how do we do that? It starts with our people! Everyone you work with is a Gorman’s employee and is directly accountable to Gorman’s Must Be Right Policy. With over 60 designers on staff many with between 15 and 40 years experience as full-time practicing interior designers, we are confident we can develop a look that matches your style. 100 Brands Because we carry over 100 brands, we have a wide array of products to showcase. This gives us the flexibility to choose the latest styles from the best manufactures in the world. No matter your budget, you can rest assured that we have scoured the industry to find the highest quality products for the best price. Between our total design service and our extensive selection, it is easy to see that we will be able to design a perfect solution for you. You also have the comfort of our Must Be Right Policy as well as our National Low Price Guarantee. Mutual Adoration truly is a labor of love. Or is it a love of labor? Our work is born out of a mutual appreciation of material and craft, and a desire to build and collaborate. It is a true honor and our pleasure to create something for your home. If you have any special requests, alterations, or questions, please send us a note. We love to make custom work and will gladly discuss your project and ideas. Functionality is the driving force behind Hunt & Noyer work. Each piece is carefully crafted in Detroit, Michigan with utility and longevity at the forefront of every design. Hunt & Noyer furniture and housewares are crafted from American hardwoods, with special attention to traditional joinery and application specific finishing techniques. 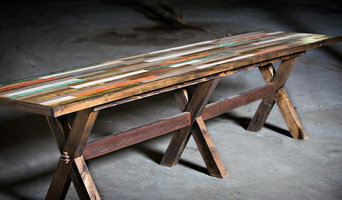 Reclaimed, repurposed, and upcycled materials are incorporated into pieces whenever possible. Appearances International (also known as E2E), is a professional supplier that provides a variety of home décor, furnishings and accessories, as well as home improvement products, to various online platforms. Founded in 2009 and headquartered in Farmington Hills, Michigan, we pride ourselves on sourcing products with the highest quality materials, the most reliable performance, and outstanding customer service. One of our strongest attributes is our strength as a global sourcing partner. We currently partner with over 70 industry leading factories overseas, with additional factories being added once they meet our stringent requirements. Appearances International prides itself on keeping up with the hottest trends in color, style and products. We not only produce excellent furniture reproductions at an affordable price point, but original designs, as well. With our focus on quality control, selection, and service, we ensure that our customers will be getting the best possible product to fit their needs. From the moment you visit URDEZIGN you will realize that you are not in a traditional furniture store. 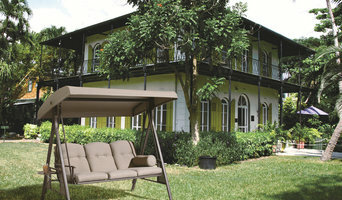 URDEZIGN has all the newest trends in furniture & home décor. “New” doesn’t necessarily mean “old” is out. Today’s furniture design is seeing a mixture of new & old. Reclaimed woods, live edge slabs, organic shapes are being paired with modern, linear furniture design, polished & brushed stainless steel and beveled or chipped glass for a refined rustic, soft modern, elegant casual lifestyle. URDEZIGN offers over 1,500 furniture designs – ALL designs are available in custom sizes, custom finishes and custom layouts. How? Well, URDEZIGN has its own factory were we proudly make many of our own designs right here in Michigan by Michiganders. You are dealing factory direct – No middlemen, No distributors, No dealers, No sales reps - quality handcrafted furniture in today’s fresh designs made your way. We also have our own factory in Indonesia. Why have a factory here & overseas? Reclaimed teak, reclaimed mahogany and other beautiful exotic woods add to the beauty and diversity of our product lines. We control the quality so we know our imported furniture is made to our quality and design standards. We invite you to visit one of our showroom. We want you to open the drawers, shake the footboards, lean on the table tops – we want you to see and understand the difference between quality furniture and mass produced furniture. When you peruse the web site or visit our stores, keep in mind that all bases, tops, wood, metals, glass, and finishes can be mixed and matched. Yes, if you see a base on one table, but would like to pair it with another top, it can and will be made to the exact size you tell us. Don’t see it? Let’s design it together. Our motto “UR Color, UR Size, Customize”. URDEZIGN has thousands of happy customers across the U.S. In 2013 we shipped over 2,500 custom furniture orders to all points of the U.S. Many designs went to Interior Designers in LA, Chicago, New York & Dallas. Last year we shipped our first order to Dubai and Saudi Arabia. 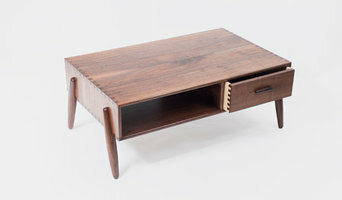 We would be honored if you allowed us to handcraft you a quality piece of furniture for your home. We know you will be pleasantly surprised with our pricing. Custom is no longer synonymous with expensive. Let’s discuss your project today. Art Van Furniture is the Midwest's #1 furniture & mattress retailer founded in 1959 by Art Van Elslander. With over 125 stores and 3,600 associates we've created an amazing company with a great story to tell. We help you bring your vision to life, offering every style and vast custom options. If you love urban, modern, rustic, classic or something in between - you'll find the best quality at your price point - from your first apartment to your dream home, Art Van Furniture is your #1 choice! Inside Art Van, you'll find PureSleep mattress stores, with the latest sleep technology to fit each guest with the right mattress, foundation and pillows to promote better sleep and better health. And, Art Van Flooring offers every major brand with free Shop At Home service and Free Installation too! We Say Yes to financing in minutes. Visit artvan.com to start shopping now. You already know La-Z-Boy for our recliners, but did you know we also make sofas, sectionals, loveseats, chairs and more? Now you do. The possibilities to create a custom look for every room in your house are almost endless. Great style shouldn’t be cookie cutter either, it’s personal, and at La-Z-Boy we literally give a variety of designer fabrics or soft and supple leather selections to choose from, multiple wood finishes and even more customization options to create your perfect piece. The hardest part will be deciding which to choose. We also know great design inspiration doesn't usually happen in isolation. It takes a team – you and a knowledgeable La-Z-Boy design professional. Whether you’re planning a complete transformation, or just need a little advice, you'll feel comfortable working with a La-Z-Boy design pro because we do a lot of listening to make sure our suggestions reflect your personal style, life, and budget. Just call your nearest store to discuss a free design appointment. ( <a rel="nofollow" target="_blank" href="http://www.la-z-boy.com/storeLocator">http://www.la-z-boy.com/storeLocator</a>) If your idea of beauty goes beyond good looks you’ve landed on the furniture company that’s right for you. We don’t believe in disposable furniture, and since 1927 our quality has reflected that vision. Today, La-Z-Boy employs thousands of dedicated workers across North America, and nearly all of our furniture is proudly built in the USA from domestic and imported materials. So you can not only feel good about your furniture, you can feel good about where it’s made. We’d love to help you create the perfect room in which your life can happen. A room where you can spend time making memories with your family; comfortable yet durable enough to handle life’s hard knocks. We’ve said it once and we’ll say it again – you’ll be surprised… really! I have been working as a carpenter the Detroit Metro area for almost 30 years. The majority of those years have been spent in cabinet shop settings and I have had my own for 10 years. For the last 4 years I've been operating out of a my commercial space in north Royal Oak where my focus has become designing and making custom furniture, cabinetry and other architectural elements such as stair railings. These days I'm fabricating with steel almost as much as wood and enjoy both equally. I was honored to have me and my work featured in Detroit Home magazine in 2012 and 2013. I am also proud to have had my craftsmanship featured in several other books and magazines such as Dwell, Elle Decor and Men's Vogue through several professional relationships over the years. Saving Trees and Lives ... As a full service design and fabrication company, we focus on providing meaningful work for our returning ex-felons and our marginalized youth in partnership with other community members. In this process we are able to create a positive environment for mentorship and opportunities for our crew to repurpose their lives. Ultimately, this allows us to reclaim these too often discarded resources and lives. We do this all while creating intentionally simple and timeless designs, crafted from salvaged woods, featuring rich organic textures integrated with raw modern and industrial materials. This dynamic combination between our people and our materials creates an unparalleled quality behind our hand-made furnishings, fixtures, picture frames and other wood goods for commercial and residential spaces that tell a uniquely human story to pass down through the generations. 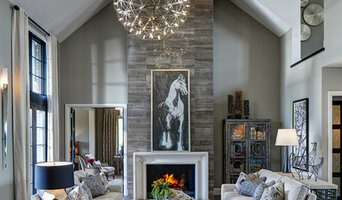 Michigan Design Center is a one-stop shopping resource for the finest names in interior furnishings. Our 35+ showrooms offer over 1,000+ of the most exclusive names in furniture, fabrics, flooring, wallcoverings, tile, rugs, lighting, kitchens, cabinetry, artwork, accessories and more. Best of all, everything you need to create the home or office of your dreams is located under one roof in our 215,000 square foot facility in Troy, Michigan. Whether you are looking for one piece, one room or an entire home full of furnishings, Michigan Design Center truly is your one-stop shopping resource. Come visit to discover all the possibilities that await you! All About Furniture has been serving Ann Arbor and its surrounding communities for over 14 years! We've built our business based on trust and value for the customer. Most of our customers come through word-of-mouth. We specialize in Amish Furniture, Organic Mattresses, leather seating, recliners and sectional. We are a premier woodworking shop serving the greater Detroit area and beyond. We invite you to view a showcase of our work, explore the services we offer and contact us for a free quote. Since 1983, A.K. Services has been providing custom, high-end, handmade cabinetry and fine woodworking services to commercial and residential customers. We take great pride in our customer service and attention to detail. With our 24 years' experience and our 6000 sq. ft. shop, we are able to custom build, finish and install work to meet your specific requirements. We are happy to work with your designer, or you can take advantage of our in-house design services. Start your research right here on Houzz. Read through professionals’ profile pages to find out important details, like how long a manufacturer has been in business. Look at reviews by design professionals and find out which furniture makers offer the best customer service. Are you looking for condo-size furnishings or working with an oddly shaped room? Necessity is the mother of invention, so opt for a custom piece made by an experienced Michigan furniture maker. Here are some related professionals and vendors to complement the work of furniture & accessories: Interior Designers & Decorators, Artists & Artisans, Kids & Nursery, Closet Designers and Professional Organizers, Bedding & Bath. Take your time on any buying decisions. If contemporary is your style, don’t buy something traditional because it’s on sale. Many Michigan home furnishers offer interior design consultations or room planning guides to get you started. Whether you decide to work with a home decor specialist or to become your own expert, it’s important not to rush the furniture-buying process. Visit plenty of Dearborn Heights, MI showrooms and stores so you can feel comfortable with your purchase. Find furniture and accessories manufacturers, showrooms and retailers on Houzz. Narrow your search in the Professionals section of the website to Dearborn Heights, MI furniture and accessories, then choose the nearest metro area for showrooms and retailers. Or you may want to look through Michigan photos to find designs you like and contact the furniture manufacturers and showroom galleries directly.